Charles Spurgeon has been called the “Prince of Preachers.” He preached to over 10 million people in his lifetime, and his written sermons have impacted millions more. The CSB Spurgeon Study Bible features thousands of excerpts from Spurgeon’s sermons, chosen and edited by Alistair Begg in order to bring the richness of the Prince of Preachers’ insights into your daily study of God’s Word. The Bible features an introductory biography for Charles Spurgeon, study notes from his sermons, extracted sermon illustrations placed on the same page as the biblical text, notes, and outlines in Spurgeon’s handwriting, quotes from the “Prince of Preacher” throughout, biblical book overviews in Spurgeon’s own words, and more. The Spurgeon Study Bible features the Christian Standard Bible text, which aims to stay as literal as possible to the Bible’s original meaning without sacrificing modern clarity. Sending Well gives practical steps for creating a system that delivers great coaching to church planters. Whether you are coaching planters or attempting to develop coaches for multiple planters, this book will help you. Part One: Build a Coaching Framework — Coaching is a vehicle to help church planters pursue their unique Kingdom assignment. Church planter coaches and the planters they coach must have the same purposes in mind. Building a framework helps ensure this will be the case. Part Three: Deliver Great Coaching — The meaning of the word “coach” must evolve from training to action. “Coach” is a verb, and supporting church planters is the desired outcome. God created you with unique potential and placed you here for a specific purpose. But in the busyness of life and the activity of church, you may have never identified your specific calling in a way that brings clarity. Like a distinct echo, the promise of life with a vision remains elusive, drowning under the demands of work, family, and the stuff all Christians are supposed to do. Younique exists to help you discover, even in the midst of the chaos, your divine design. God’s design for your life is more knowable than you realize. You are God’s workmanship created in Christ Jesus to do good works, which he has prepared in advance, that you should walk in them. You can discover your life vision and align your life vocation. You can and should know your God-given identity and your God-inspired dreams. Most importantly, you can discern and design the practical steps to get there. Throughout Paul’s writing in the New Testament are warnings to discern and avoid the elemental forces that seek to separate believers from the love and truth of Jesus. The rise of these secular gods presents the most serious challenge to the Christian worldview and mission: the devaluation and dismissal of Christian beliefs by modern culture, and the ridicule of its followers. Jesus Among Secular Gods seeks to help Christians defend their faith against other modern worldviews, including atheism, hedonism, relativism, and humanism. This Bible study challenges the popular and trending philosophies of the day, skillfully pointing out the fallacies in their claims and presenting compelling evidence for absolute truth as found in Jesus. It will help seekers to explore the claims of Christ and will provide Christians with the knowledge to articulate why they believe that Jesus stands tall above all other gods. This Bible study helps you identify the things that matter to God and to you as a follower of Christ and apply godly wisdom to incorporate these activities into your busy life. Each week will address a topic that is important but often overlooked or wrongly engaged. This study gleans wisdom from the Book of Proverbs and from the example of Jesus to help you turn from empty and unfulfilling busyness and devote yourself to doing what matters most. 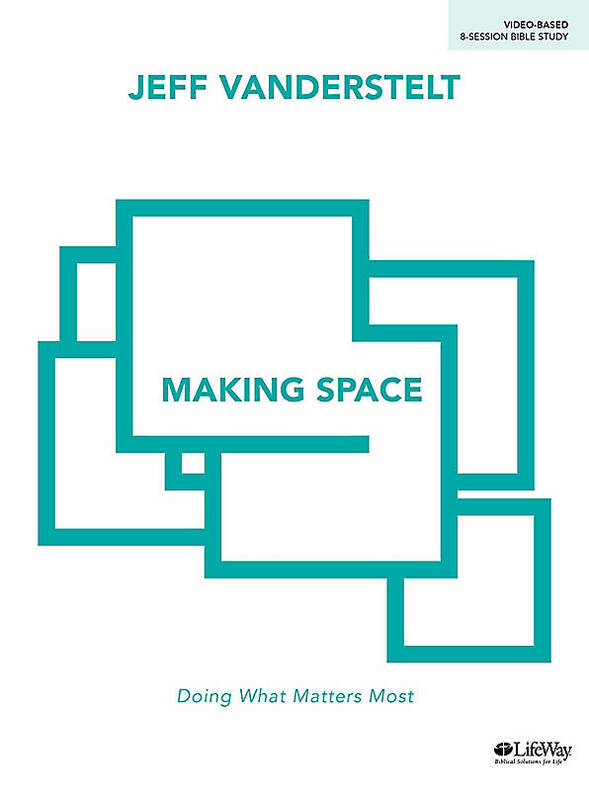 Making Space will help participants identify experiences that capture your attention but are truly inferior to what God deems worthy of your time and energy. As they embrace godly priorities as defined by the Book of Proverbs and as exemplified by the life of Jesus, group members will become better at hearing God through solitude and silence. This has been true for all of time: throughout history, we have witnessed the people of God ask questions about who He is, who they are, and how they relate to Him. This is an invitation to embrace the unknown and think through the deeper matters of faith. 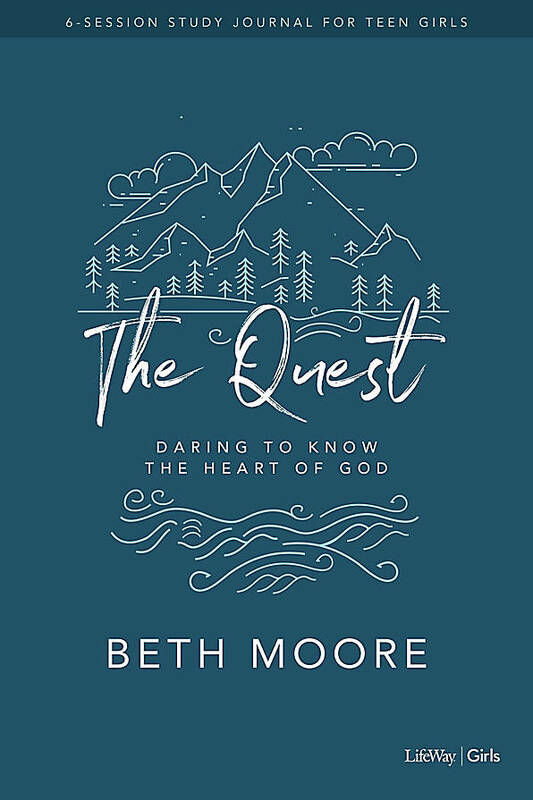 In The Quest, a 6-session Bible study, author and speaker Beth Moore takes girls on a journey through Scripture to explore how God created us to seek after Him—a God who desires to be found and known. In this lifelong quest of faith, girls will learn to develop intimacy with Him and embrace the adventure that comes with living a life for God.